2016 Ford Focus For Sale In Vernon, Kelowna, Okanagan, BC. Modern elegance is evident throughout the 2016 Ford Focus. Minor updates enhance the style and function of this model that offers seating for five. Choose between the four-door sedan or five-door hatch, with the trim level that has the features you want: S, SE and Titanium. Or choose the sporty ST, a unique five-door hatchback with the driving features you crave. 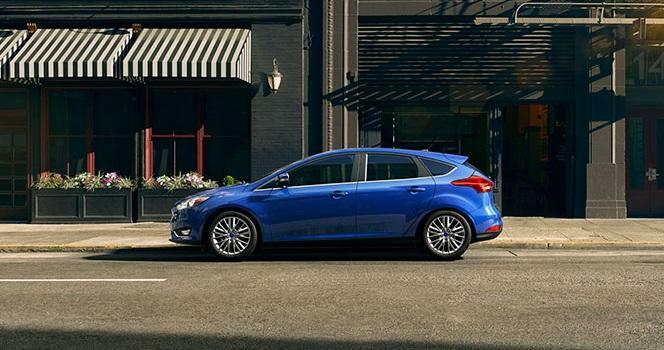 Modern Elegance Sleek lines and sculpted curves define the 2016 Ford Focus. Be prepared to turn heads with the black grille surrounded by chrome trim and black-trimmed body mouldings and door handles. Functional design is seen in the quad lens halogen lights and black power mirrors with integrated blind spot mirrors. Upgrade to HID headlamps with the ST while multiple wheel options make it easy to customize any model. Select your favourite body colour, including two new options with Kona Blue and Shadow Black. 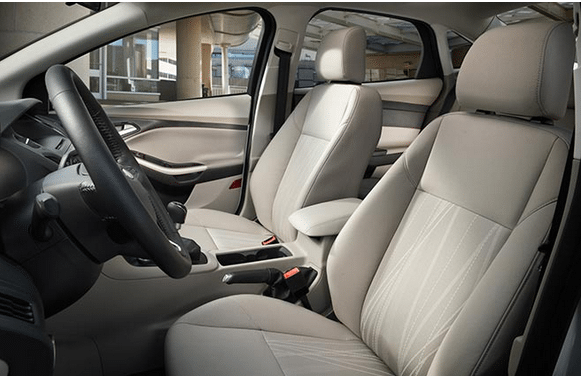 Comfort and convenience are showcased throughout the cabin of the 2016 Ford Focus. Relax in the 6-way adjustable driver’s seat with lumbar support. Available heated front seats offer additional comfort while optional leather trim adds refinement to the space. Add the power moonroof and leather-wrapped steering wheel for even more sophistication. Stay in touch with the Bluetooth® hands-free communication system while SiriusXM® satellite radio and Sony® audio system keep you entertained. Enjoy the user-friendly SYNC® 3 that offers improved voice recognition and 8-inch touchscreen that responds to pinch-to-zoom and swipe touch access. Added safety is seen on the rearview camera to help with parking. Efficient power comes from multiple engine choices on the 2016 Ford Focus, including the 107kW electric motor. In addition, four other engines provide exceptional performance, with the EcoBoost 1.0L and 2.0L engines offering outstanding fuel economy. Choose between the 6-speed or 5-speed manual transmission or select the 6-speed PowerShift automatic transmission with SelectShift®. The 2016 Ford Focus is expected to continue the award-winning tradition of the previous model. Advanced safety features add to the security of owning the 2016 Ford Focus. Enhancing the ownership of a 2016 Ford Focus is the security of knowing that you are backed by a solid Ford warranty. 2016 Ford Focus For Sale In Vernon, Kelowna, Okanagan Valley, B.C. 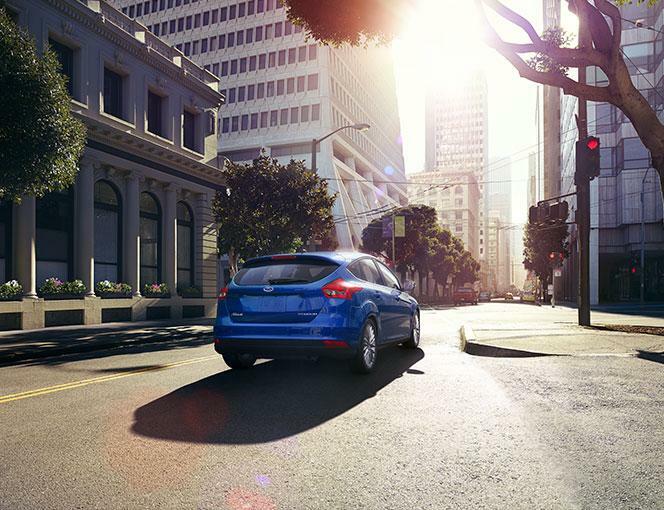 Arrive in style wherever you go with the 2016 Ford Focus. This car is designed to fit your lifestyle with multiple body options, trim levels and colours. With a choice between electric and gasoline and numerous optional features and accessories, you are sure of a car that meets your needs and puts a smile on your face. Find out more about the 2016 Ford Focus at your local Okanagan Valley Ford Dealer – Watkin Motors Ford. Choose the options and accessories that appeal to you with the help of a knowledgeable salesperson and drive away in your dream car. Then, follow up with Watkin Motors Ford for the best service on your brand new Ford model.